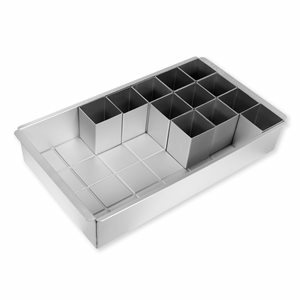 Our new line of professional cake pans have straight sides forperfectly stacked tiers every time. Cakes bake evenly andprevent hot spots and overbaking. Available in 2" and 3" deep. • Even heating. No more hot spots! • Does not rust, chip, flake or peel.